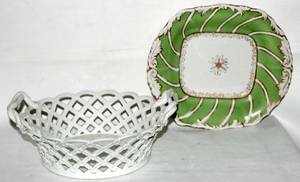 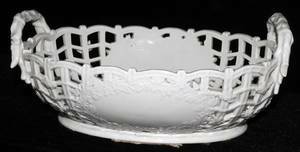 Paris or German porcelain basket, 19th c. , 15 1/4" w.
Paris or German porcelain 3-pc. 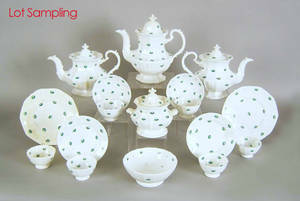 tea service. 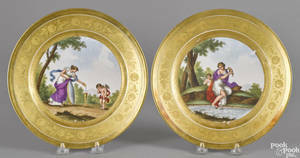 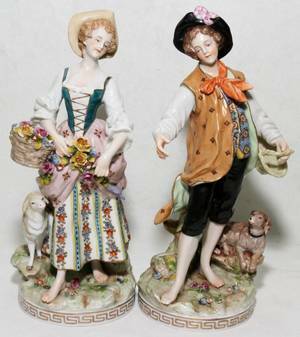 Pair of French or German porcelain cabinet plates, 19th c.
051462: GERMAN PORCELAIN FIGURES, PAIR, H 10"